The shiny awards and glittering dresses aside, the Oscars always bring together a stream of star-studded reunions. Fair to say it that working in the entertainment industry gives one the opportunity to work with someone at least at one time or another. And here at The Fandom, we’re fangirling about the Game of Thrones reunion that the Oscars gave us. 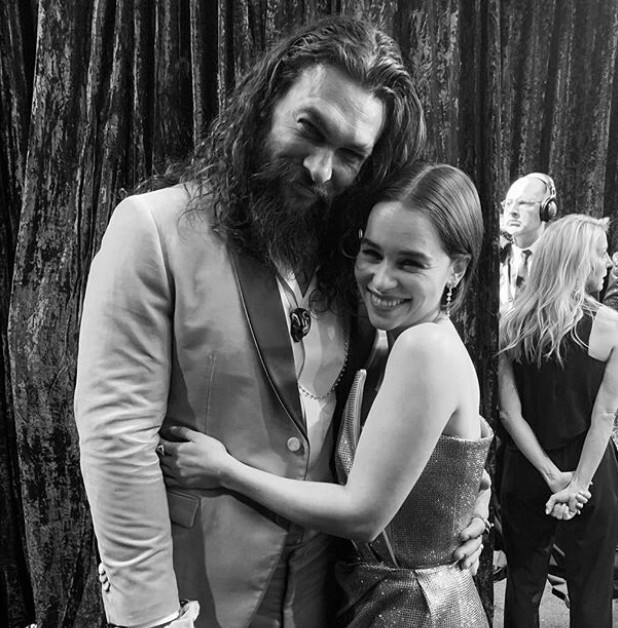 Say what you want about the award ceremony, don’t you dare deny that seeing Jason Momoa and Emilia Clarke reunite on stage didn’t make your heart swell with pride. Daenerys Targaryen’s husband. Treating her with such tenderness and care in a cruel world that cared little for women, Khal Drogo forever stole a piece of our hearts. 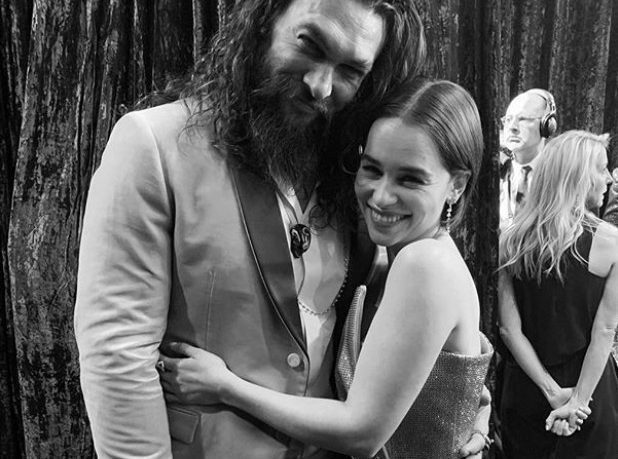 Despite leaving early in season one, Momoa still seems to be keeping close contact with his former coworker writing “so proud of you @emilia_clarke, I love u with all my heart. Aloha Drogo” in an Instagram post. He also posted another Instagram post with his wife Lisa Bonet and Clarke capitioning these photos with “my queens”. Awwwww. Although Momoa has been busy since his time on Game of Thrones, he did make time to visit the set when his former show began filming season eight. But he made clear that it was just a visit and not an actual filming session. I just showed up to see [showrunners David Benioff and Dan Weiss]and I just happened to see people on set. I haven’t been over there in a long time. You just want to see your friends, and you end up make headlines going, ‘Drogo’s back!’ and I’m like, ‘He’s dead! He can’t come back, it wouldn’t work. I mean, a fan can dream right? We’ve seen stranger things happen on television. So while he may not be in it, it’s clear that Momoa is still close with the Game of Thrones team. The show returns April 14 on HBO.